Let’s be honest. 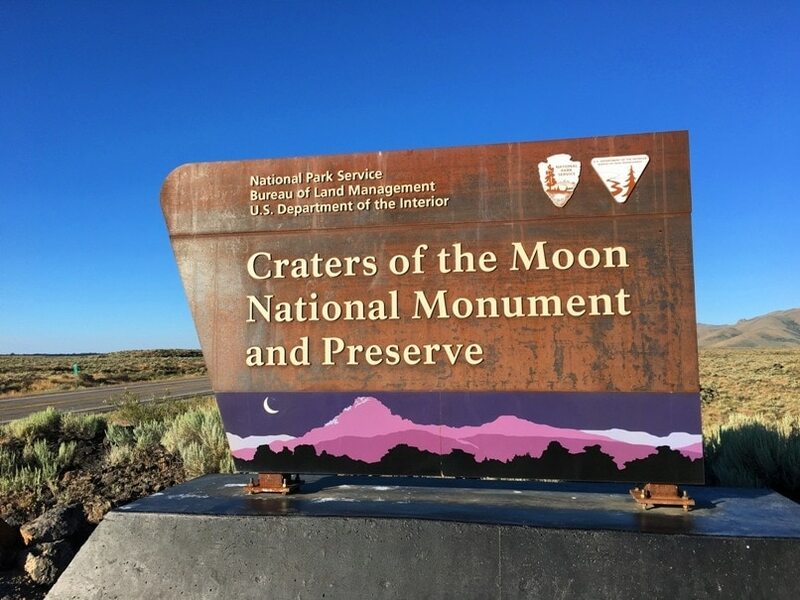 We had never heard much about Craters of the Moon National Monument and Preserve in Idaho. That is, until we found out it was on the potential chopping block in the National Park Service. So during our year of traveling the United States in an RV, we made sure to try to visit the places that could one day soon be left unprotected. 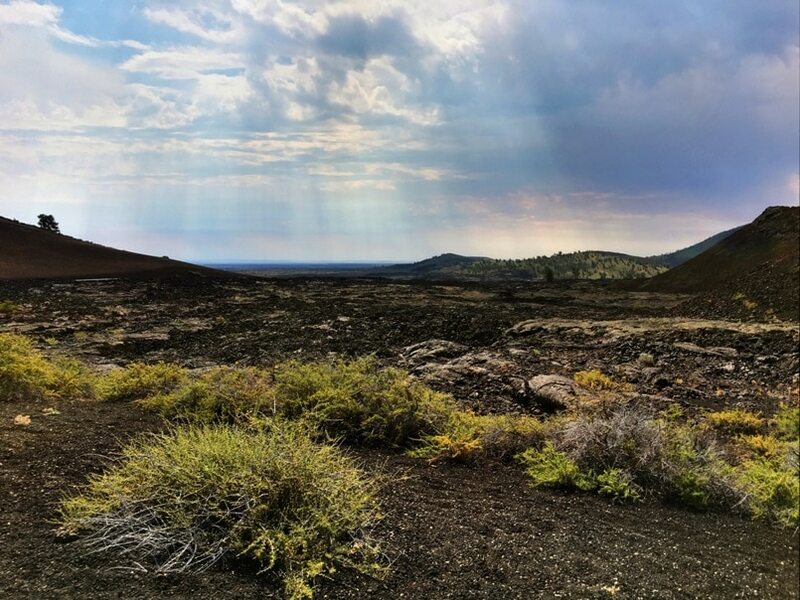 When we discovered Craters of the Moon National Monument, I couldn’t believe that I had never heard of it before! As a huge NASA fan and space buff, this place looks like something that the lunar lander would have been roaming. It’s otherworldly. That’s all that can be said about the ancient volcanic landscape. 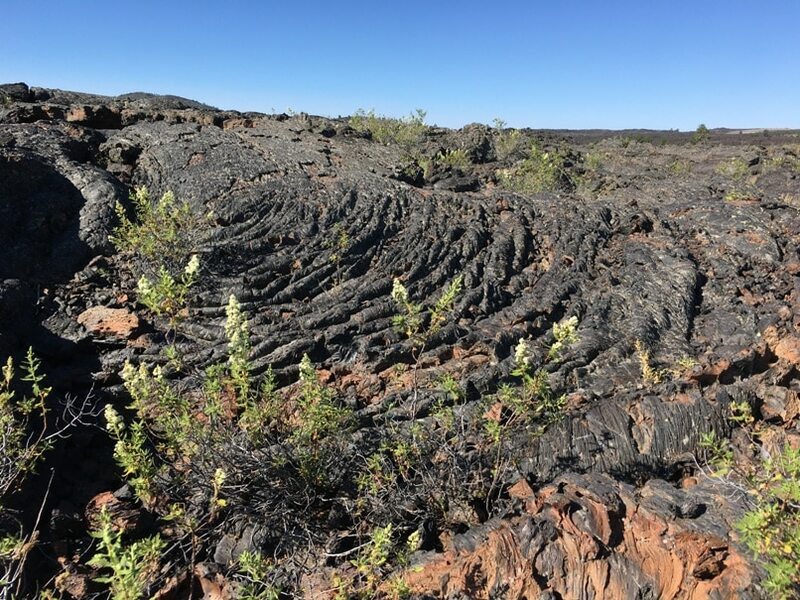 There are VERY few places that look like Craters of the Moon National Monument and Preserve. That’s why we should be protecting it in the National Park System. And why you should make plans to visit it, too. 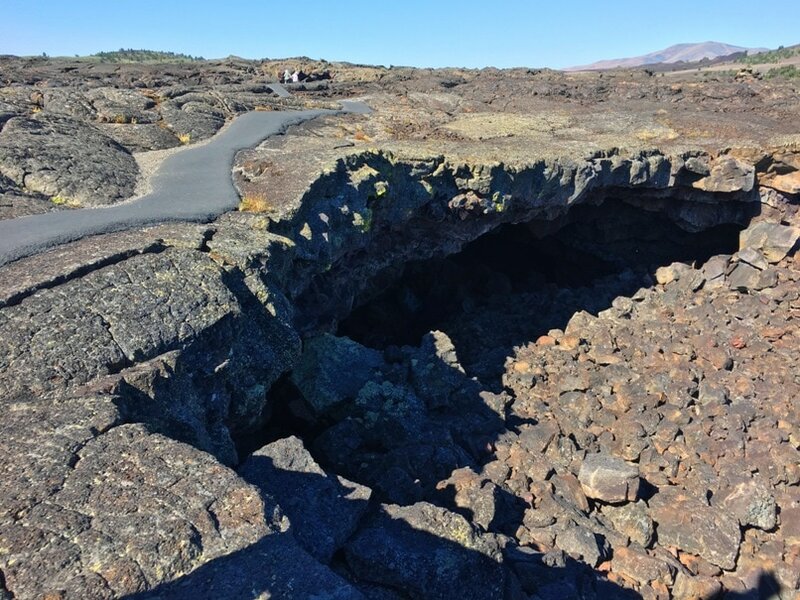 When I was researching Craters of the Moon National Monument travel tips, I couldn’t find much information at all. 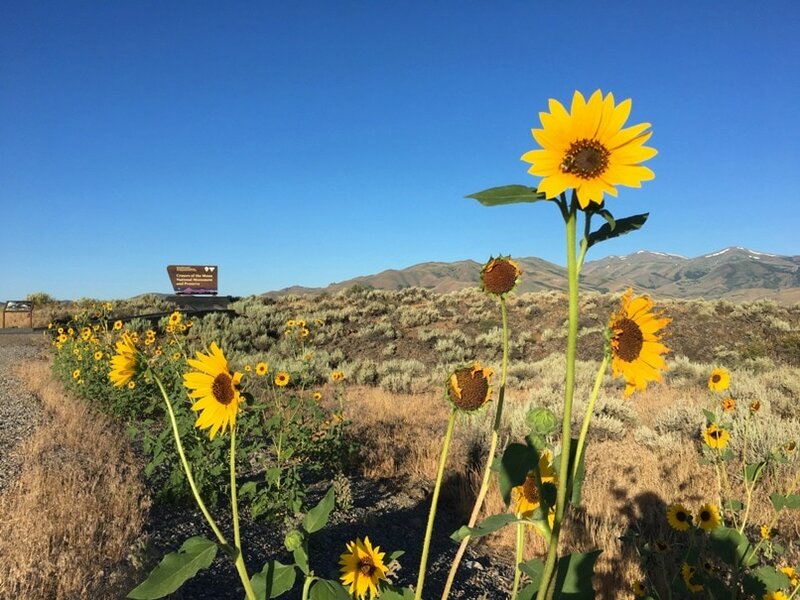 Which is why I wanted to share my travel tips for the park.They are geared towards summer travel, but can be helpful year round. This place is hot. REALLY hot. 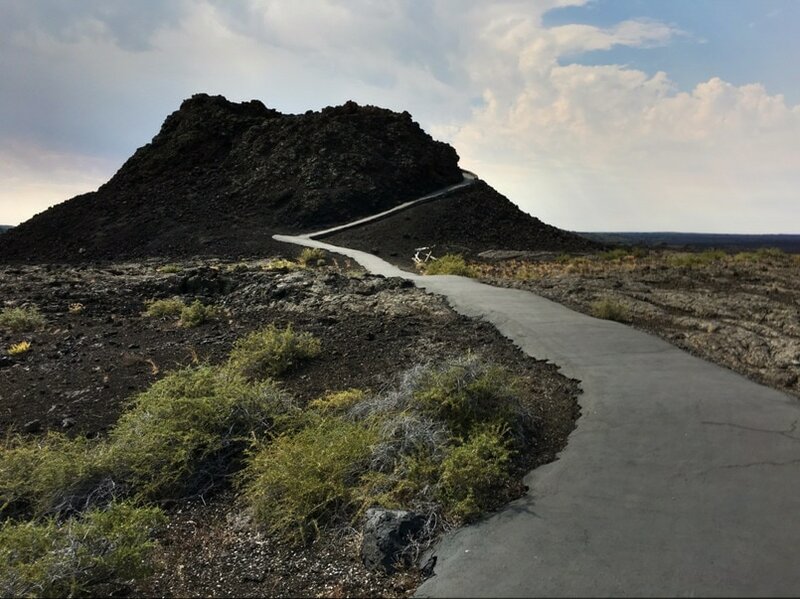 With a preserve of mostly volcanic rocks, you can imagine how intense the sun must be reflecting off of the black rocks. And there is very little shade. 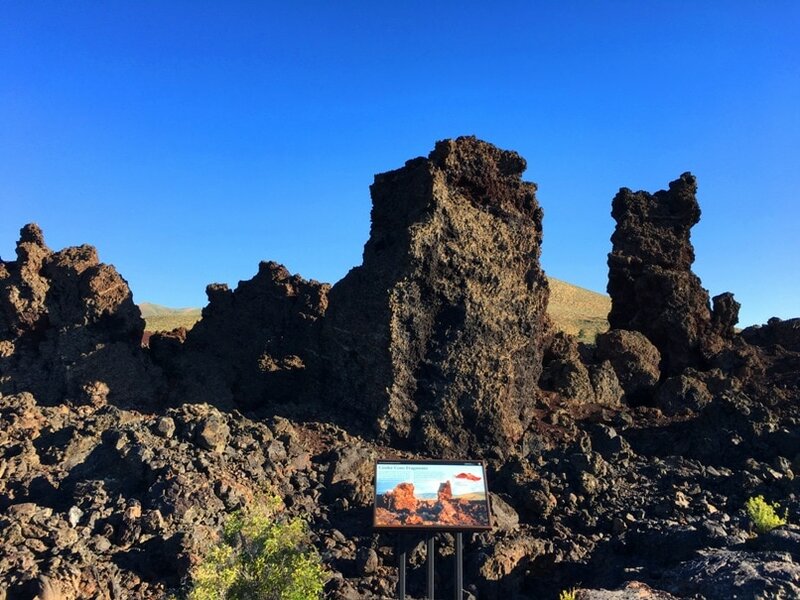 During the summer, be sure to visit Craters of the Moon National Monument in early morning or late evening because of the weather. Temperatures can start getting pretty warm by 9 a.m., so get there as soon as you can in the morning. That’s not to say that winter might be any better. This is a landscape of extremes. 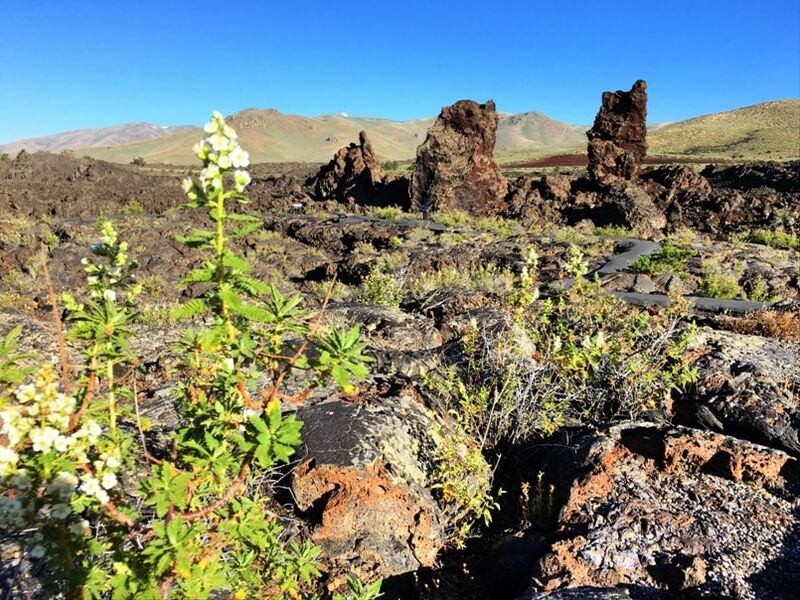 So winter weather in Idaho isn’t necessarily going to be your answer to balmy temperatures to explore Craters of the Moon. 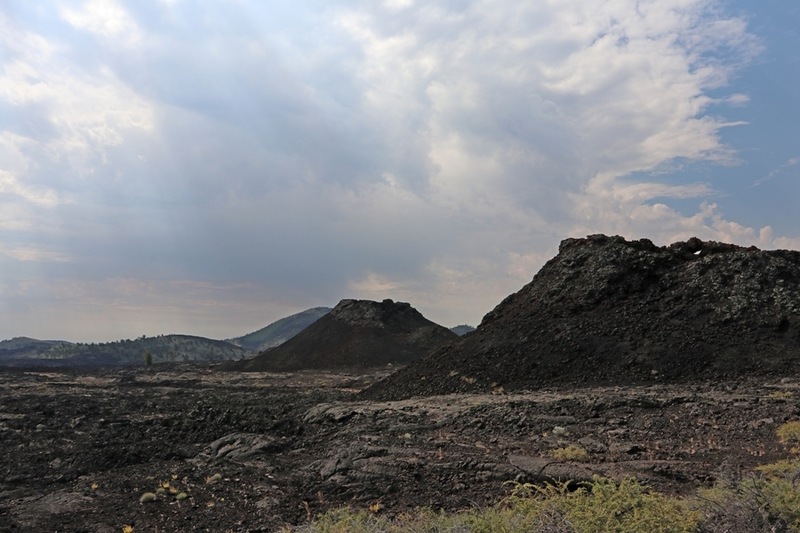 After all, Craters of the Moon offers snowshoe hikes in the national preserve. That says it all. Shoulder seasons of Spring and Fall would be great. 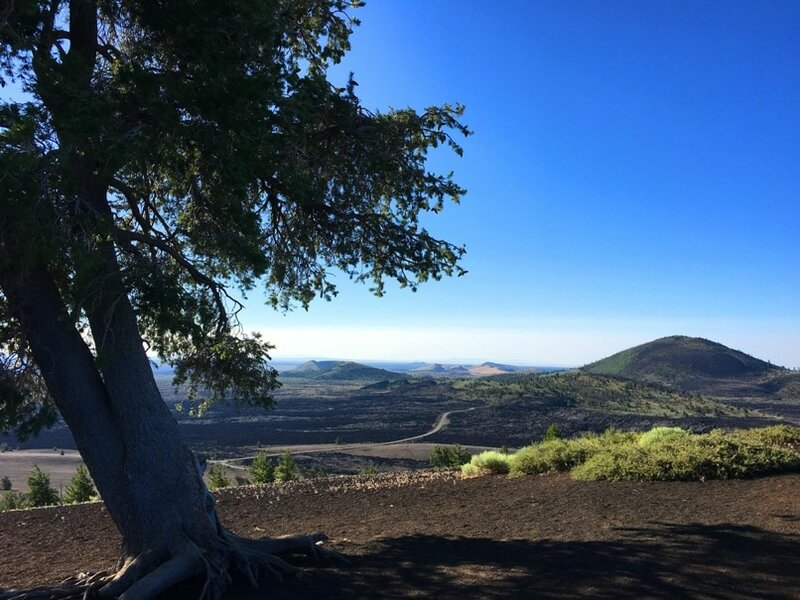 What is There to Do at Craters of the Moon National Monument? 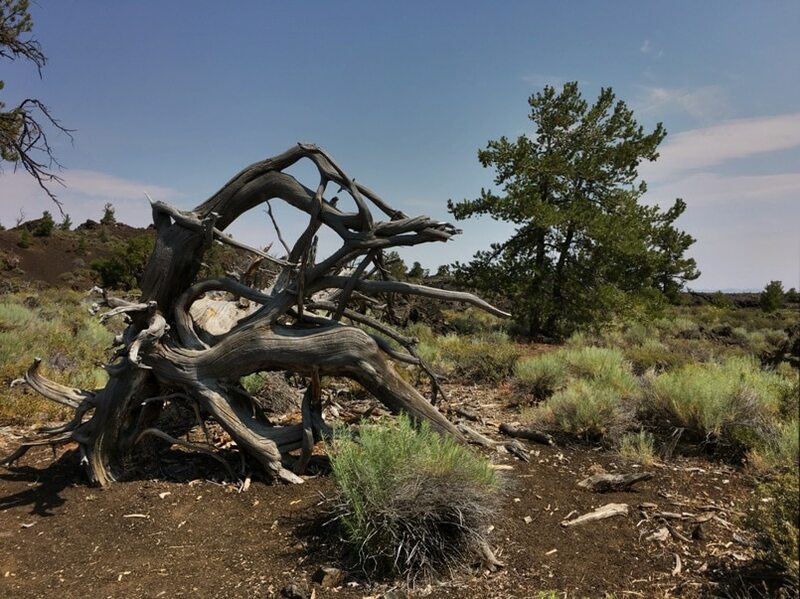 As with any National Park System site, there are plenty of educational and interpretive activities offered by the National Park System staff. 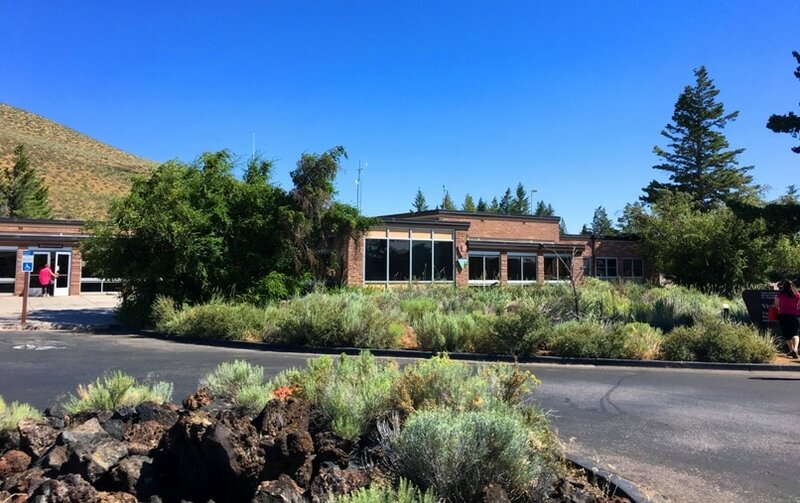 Craters of the Moon Visitor Center is your first stop for visiting the National Monument. It’s a bit of a smaller visitor center. And the parking can be limited. 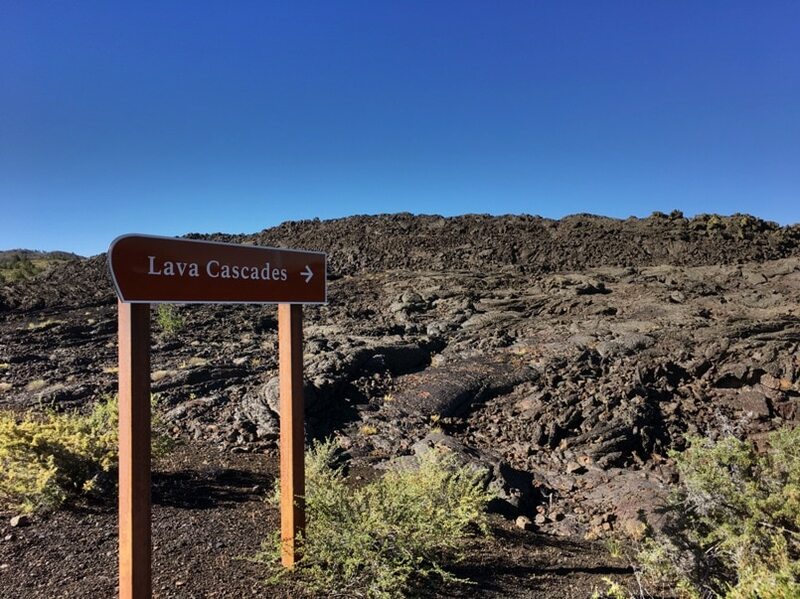 However, this is your one stop shop for everything before exploring Craters of the Moon. Seriously, this is the only stop! Use the restrooms, get some items in the gift shop (we wish they had more unique souvenirs) and see the film. 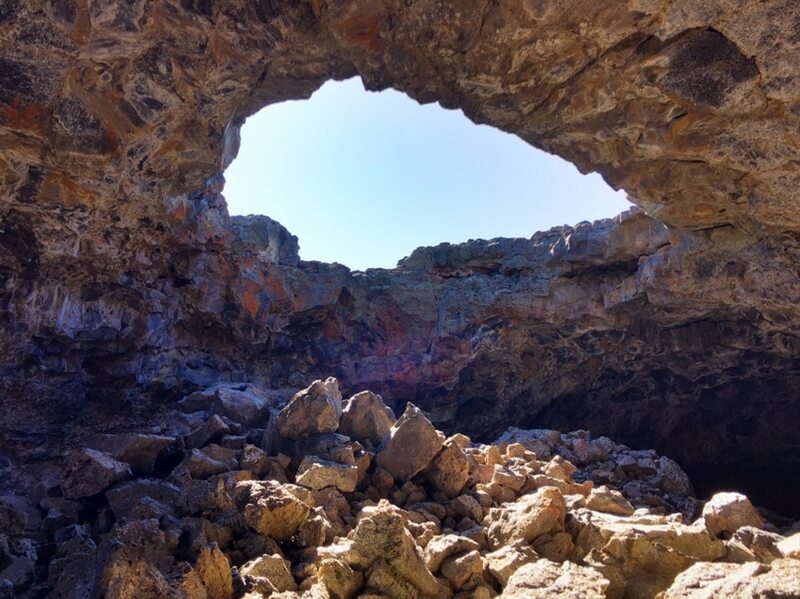 This is also where it is especially important to get your permit to hike in the caves (see cave information below)! Ask all of your questions here. Get a map. Then get exploring. 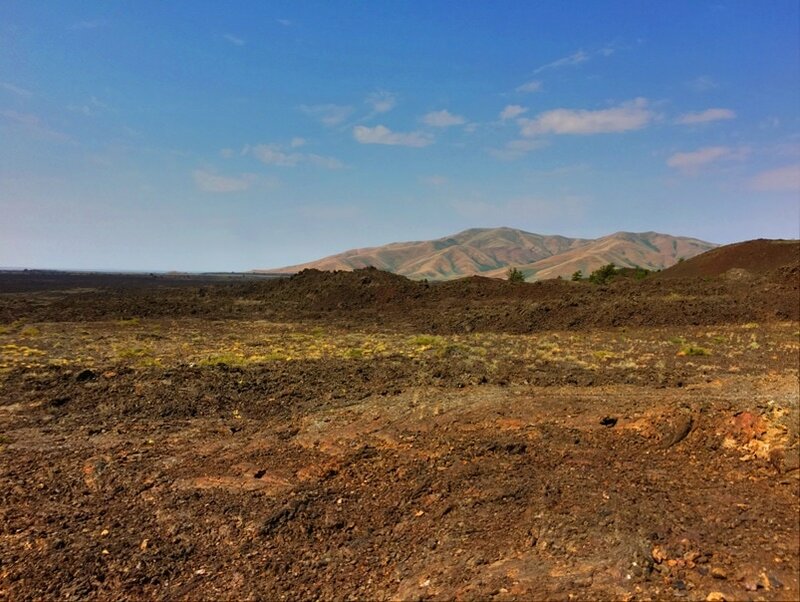 You’ll be driving to all other destinations inside Craters of the Moon park from here. We didn’t do too many hikes. The heat was just unbearable, even though we started early in the day. But there were plenty of opportunities to explore the landscape. 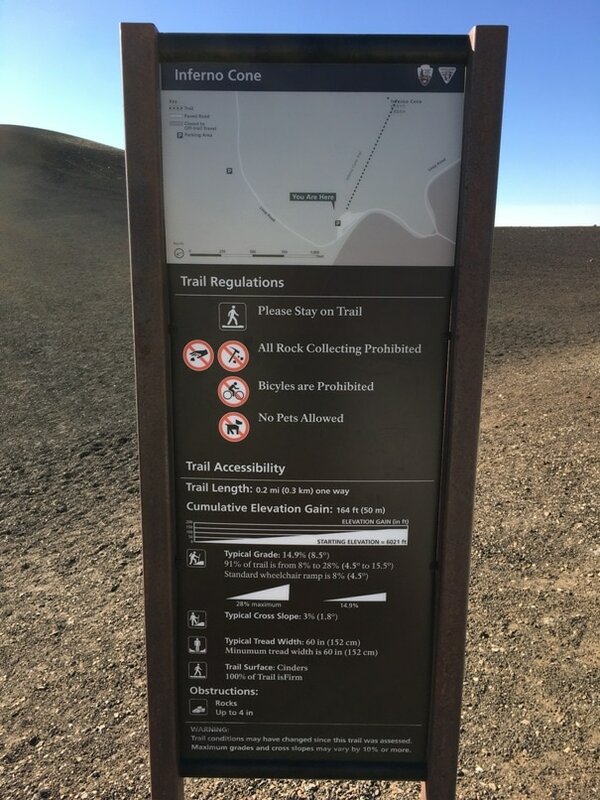 The signage system at Craters of the Moon National Monument is unlike anything that we’ve ever seen. They are so detailed and will give you distances and any information that you need before deciding to hike the trail. 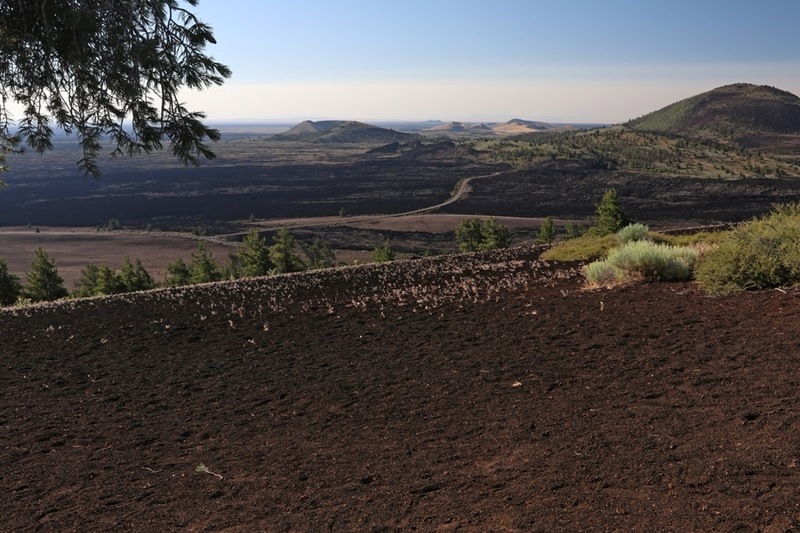 Our first stop, like so many people, was the parking area at North Crater Flow Trail. This is the first pull out on the drive. While it leads to a longer trail to Snow Cone that we didn’t do, we found that there was a shorter stroll within site of the parking area and there is a separate trail that leads to the campground, too. 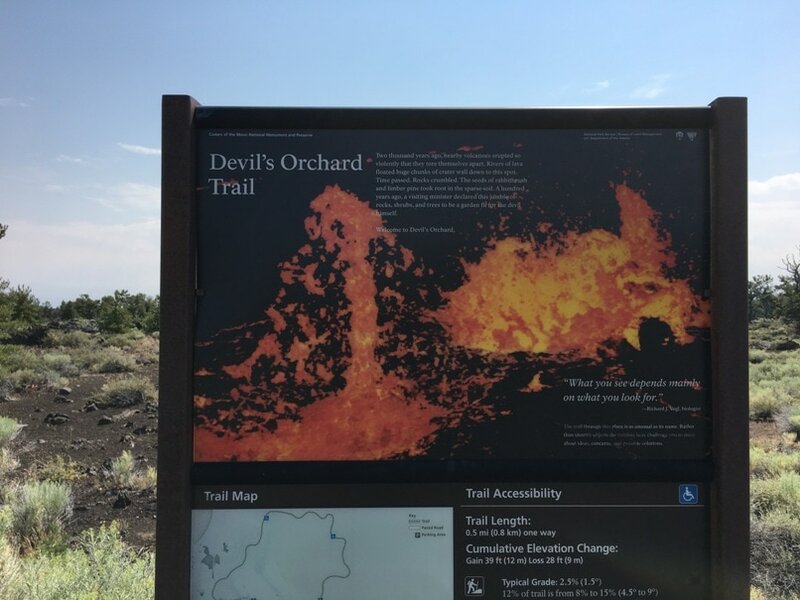 The shorter trail has plenty of interpretive signs to explain the geography of the area. This one is an easy walk. 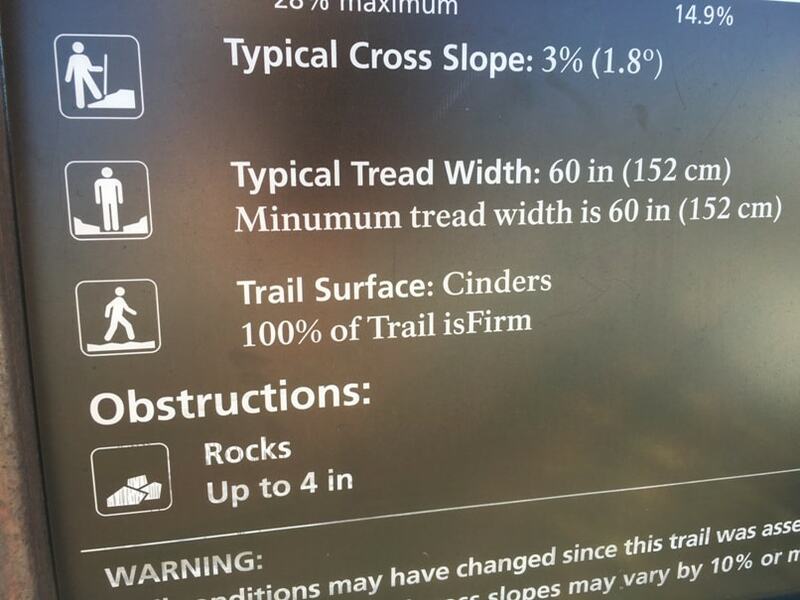 I wouldn’t say it’s a hike. It’s more like a paved walking path. There are plenty of stunning and unique landscapes. 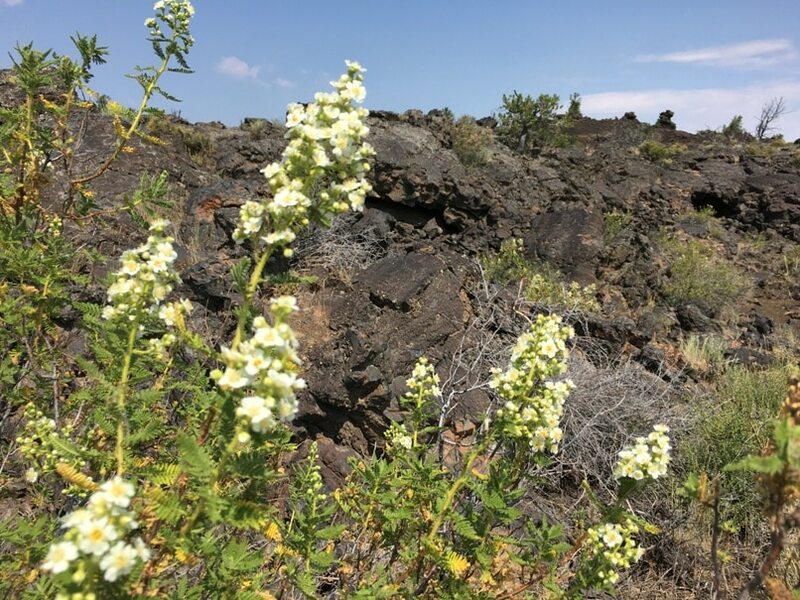 The plants are definitely rugged and distinct. 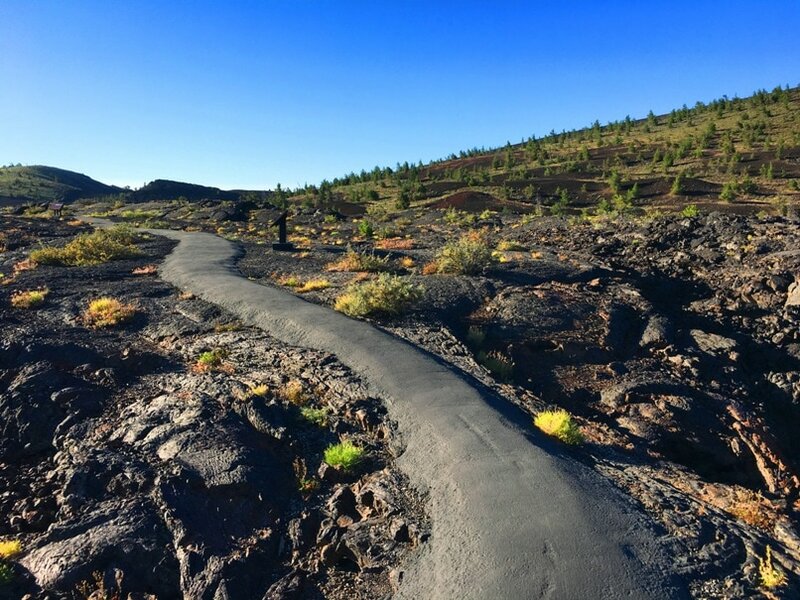 This is a great short hike going up the side of the miniature volcano . It’s paved and not a hard hike, but it is steep. 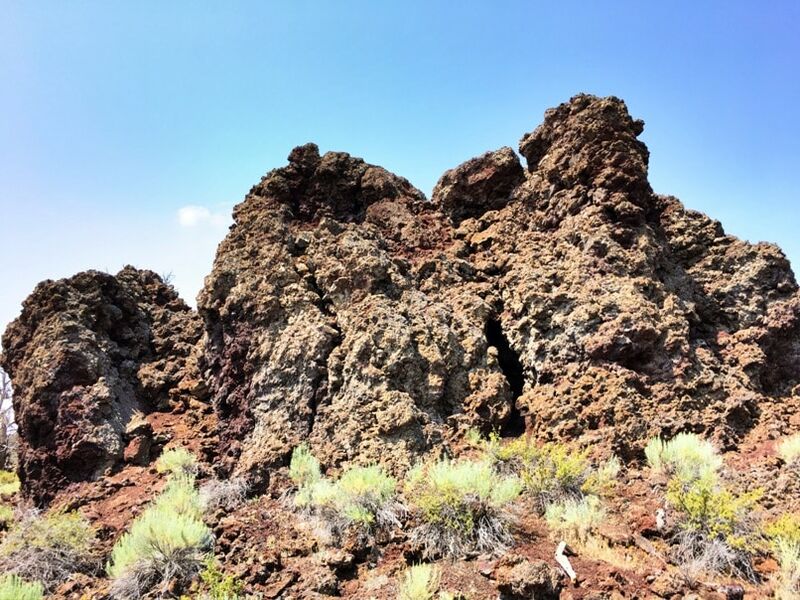 This hike is pure volcanic rock up a steep cone. 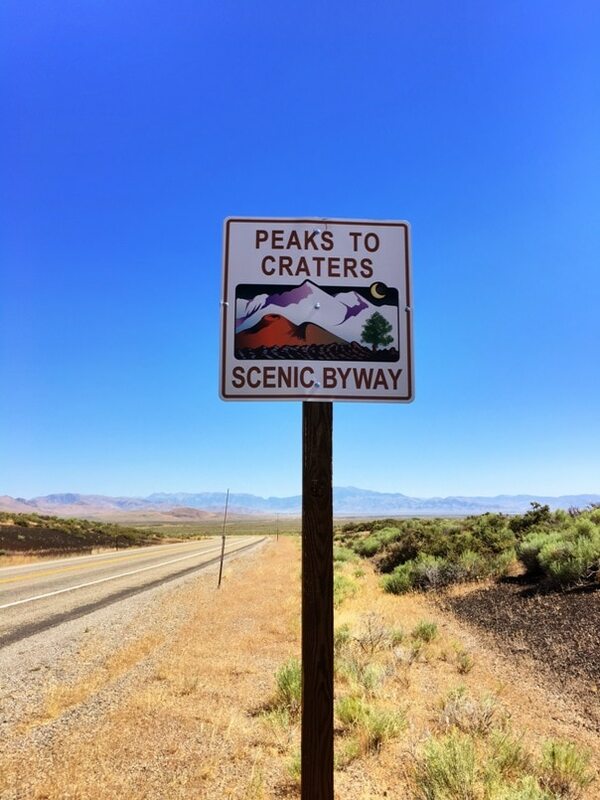 It is not paved. 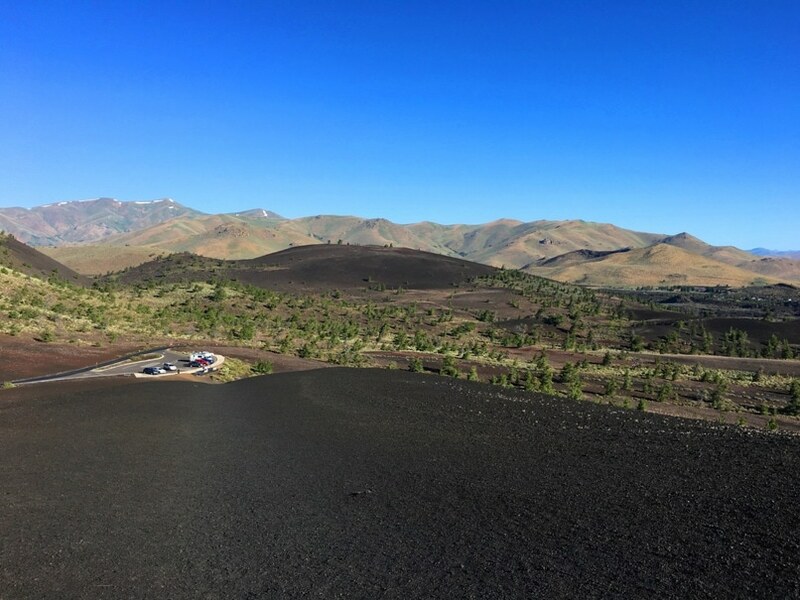 While the walk up the cone might be strenuous, the long range views are great from on top of Inferno Cone. This is a great place to really get a feel for the unique rocks. Pick up a piece and see the colors and texture. 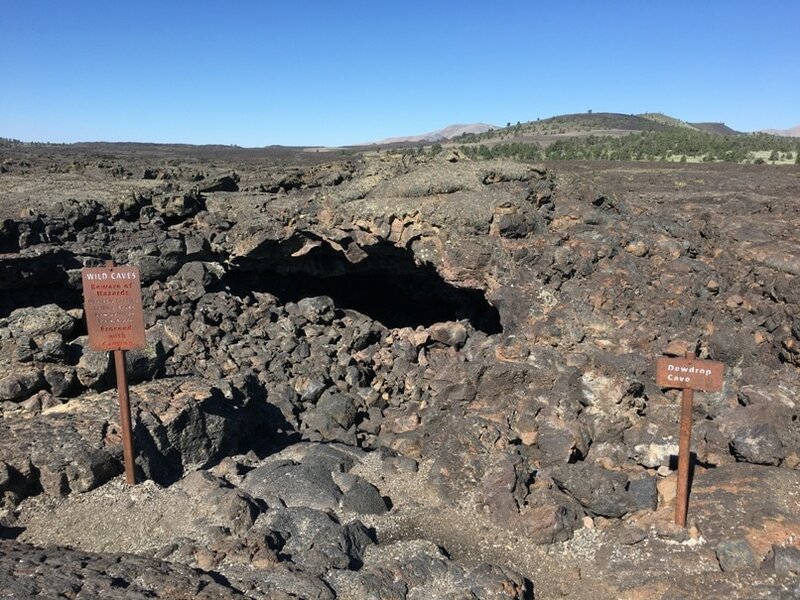 The most surprising aspect of the Craters of the Moon park is the amount of caves that visitors can hike. 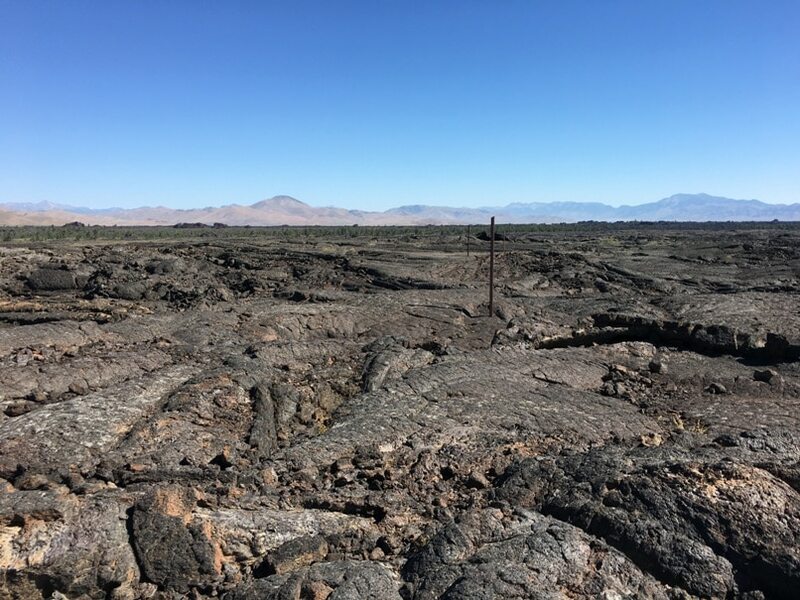 It makes sense, considering volcanoes have lava tubes that are empty after the volcano stops erupting. 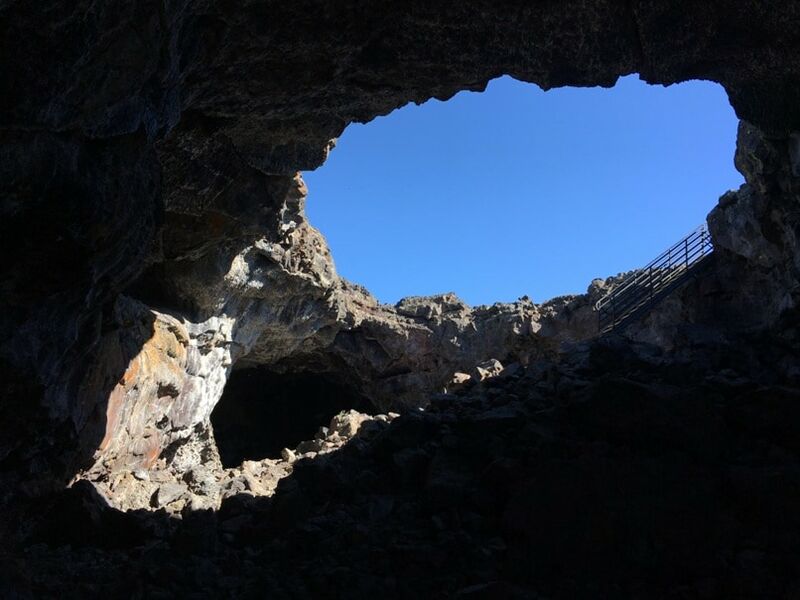 This park was predominantly volcanoes years ago, so therefore there are plenty of caves to explore. Accessibility to the public caves are all located at one stop. 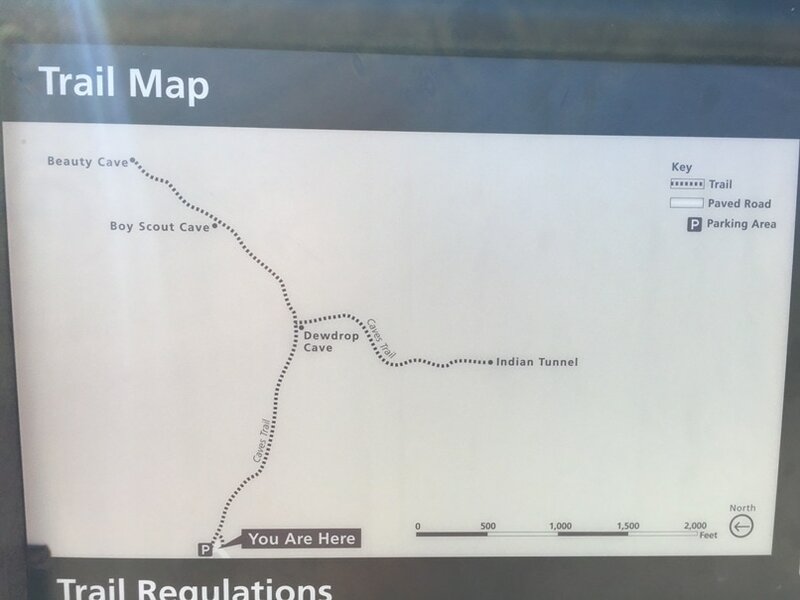 This is where you find Indian Tunnel, Boy Scout Cave, Beauty Cave and Dewdrop Cave. These caves are legit. 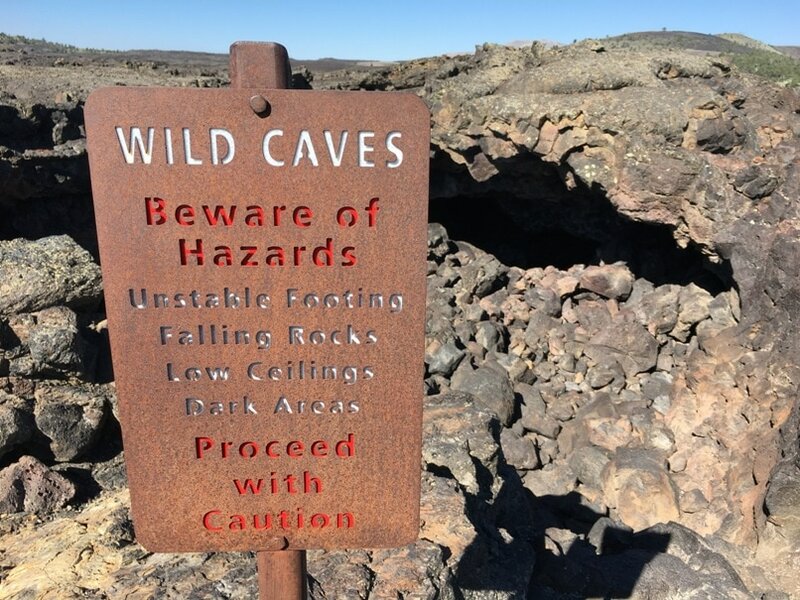 They are rocky, uneven and definitely only for those that can safely climb on rocky terrain, hoist themselves through openings of the cave, and have proper footwear. Could you climb out of the cave from the top of this rock? It’s the exit! 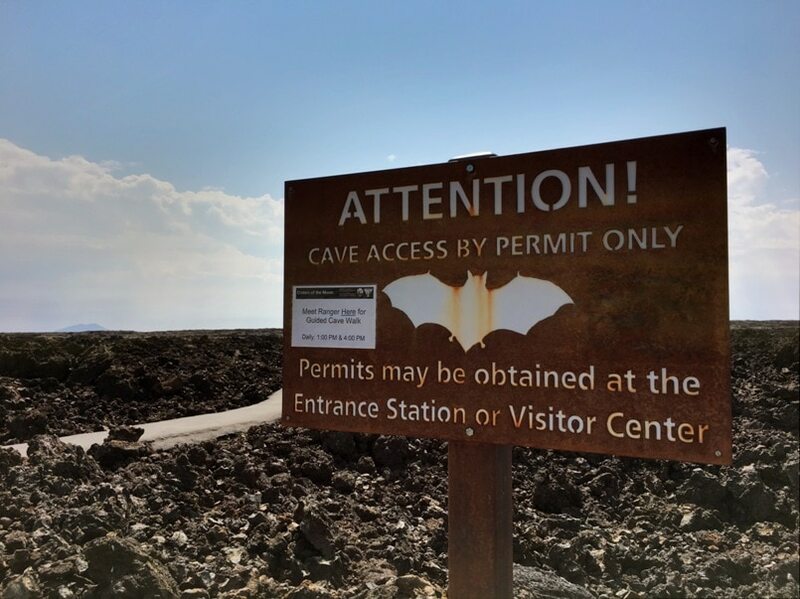 You will need to get a cave permit from the Visitor Center before entering the caves. The Permits are free, and only involve asking a couple questions. The main purpose of the permit is to stop the spread of disease in-between caves (the same is done at Wind Cave and Jewel Cave). 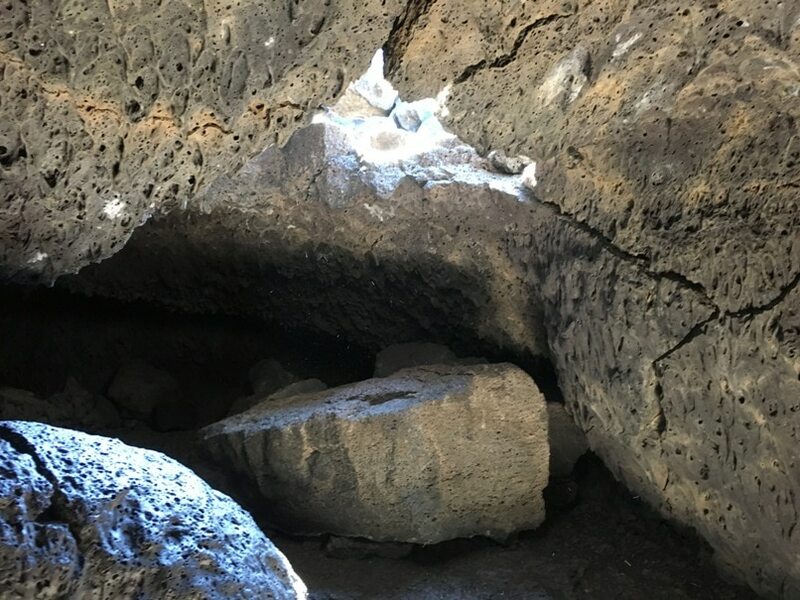 A certain fungus is killing bats, and the National Park System rangers will ask you if you have been to any other caves recently and if you are wearing the same clothes that you entered the other caves in. 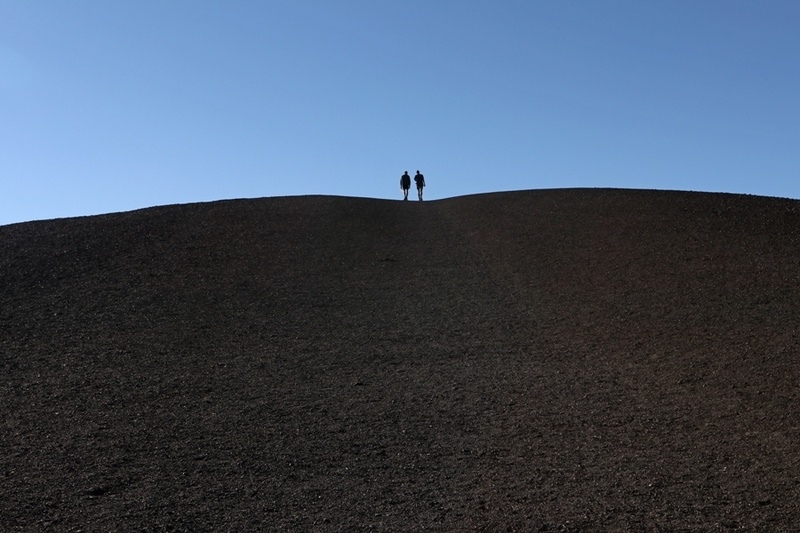 Photography at Craters of the Moon can be a little frustrating. With such dramatic black landscape, it’s a little hard to get great photos with no contrasting colors in the picture. Plus, with the sun reflecting off of black rocks, the pictures can look a little blah. We still loved spending hours taking photography of the national park site, though. All of the photos are mine in this post. 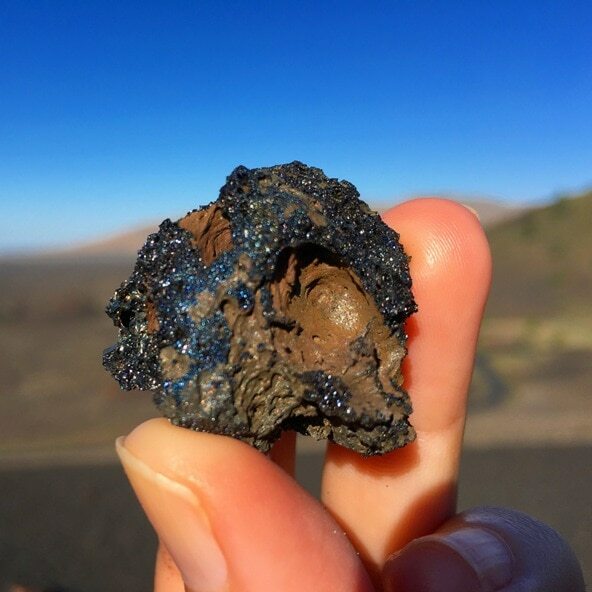 But it’s always nice to see how others capture the beauty of Craters of the Moon in their pictures, too. Oh, how we wanted to stay in this campground! 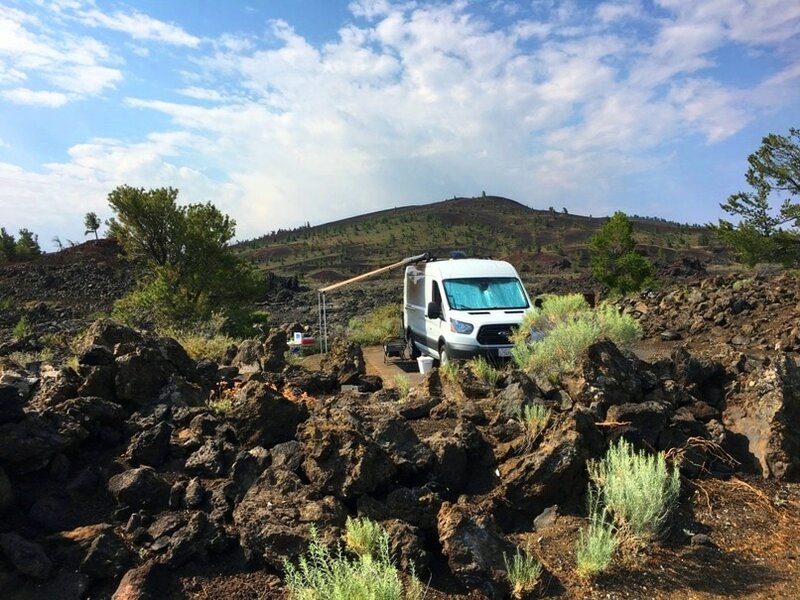 The thought of taking a picture of the trailer with lava rocks behind was intriguing. 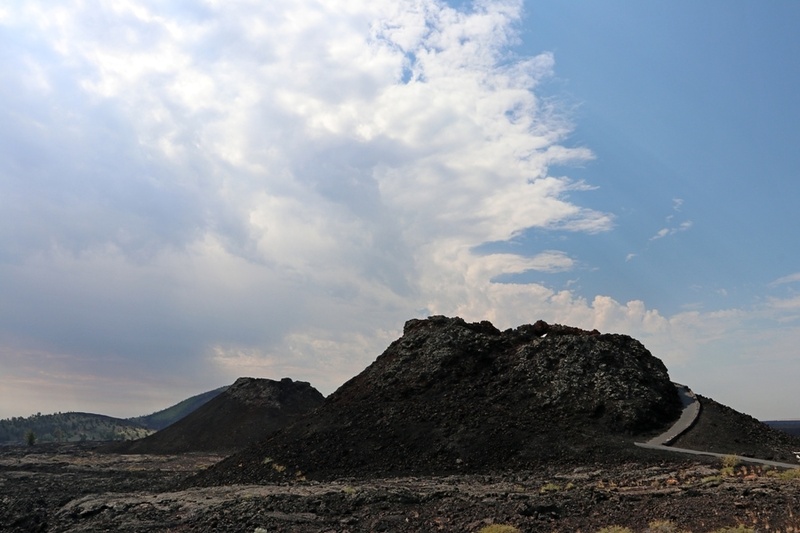 And the landscape – how often do you get to camp among volcanic rocks? But, wow. 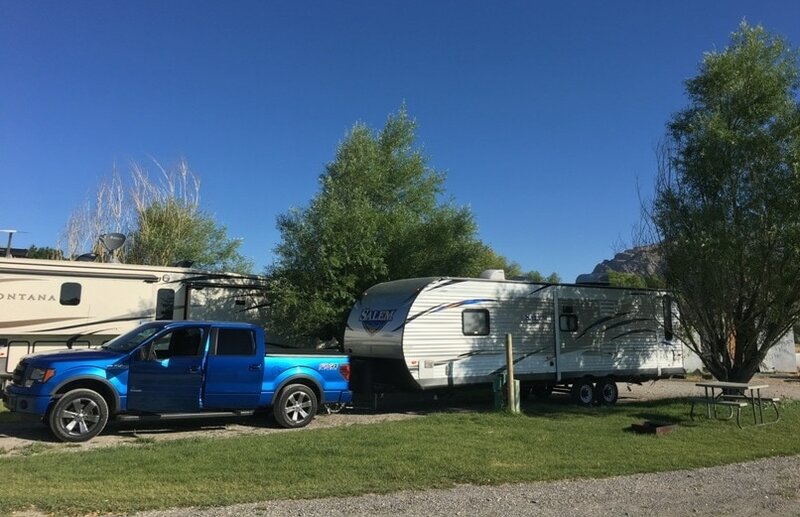 With our 33-foot RV, there was no way we were going to chance trying to get a large spot at the campground. And with 42 first come, first served sites, we didn’t feel like chancing it in the summer. Plus, no hookups, showers or waste station dumps. AND, there is very little tree shade (if any). 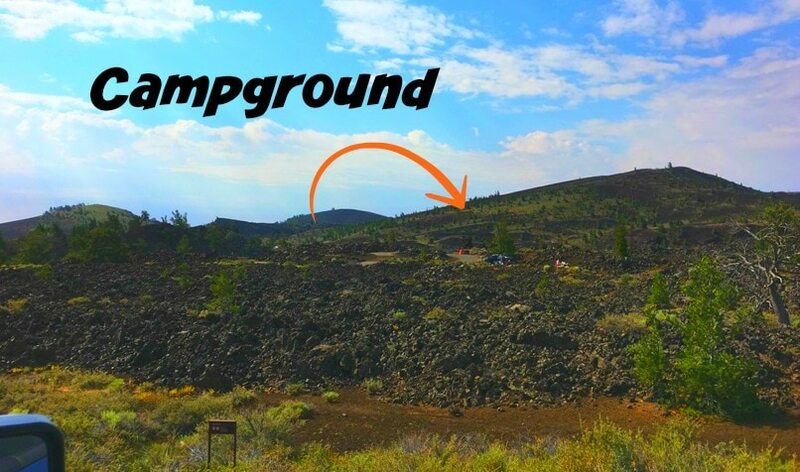 We drove around Lava Flow Campground just so we knew if we could have fit. We don’t think that our 33-foot trailer would have been smart. Plus, the sites were so barren. Definitely glad we didn’t stay there. 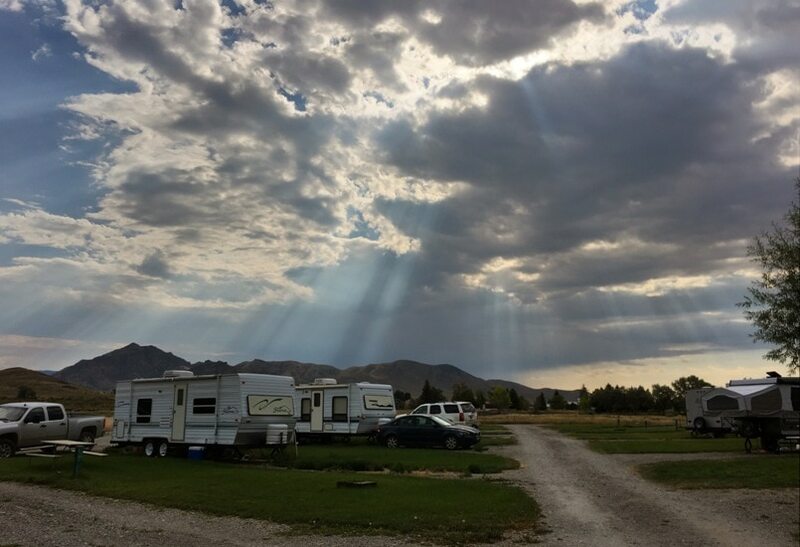 A Class C, camper van or pop up camper would be the best fit for this campground. 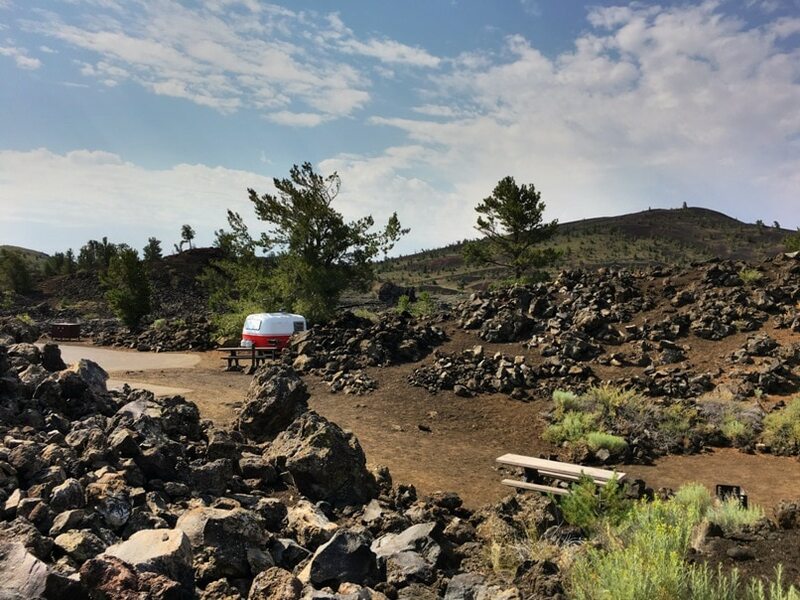 We camped outside of Craters of the Moon National Monument in the town of Arco. 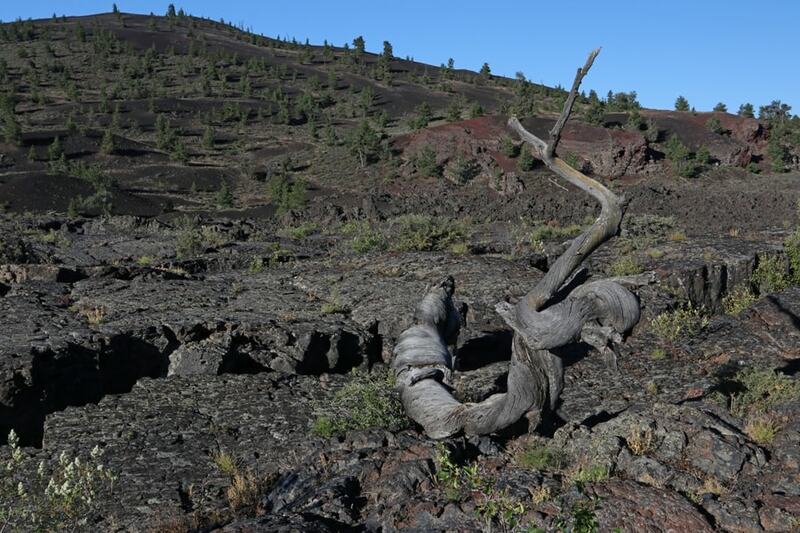 We had no desire to boondock in the middle of the summer in the Lava Flow Campground with no shade. 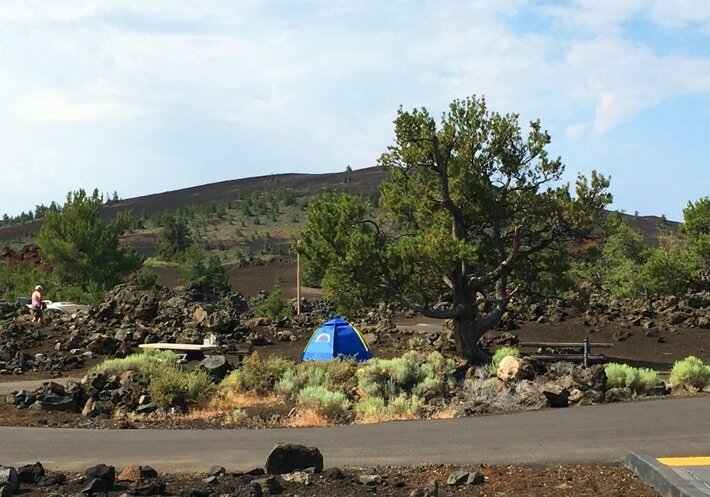 The Craters of the Moon / Arco KOA was a great place to camp near the national park service site. 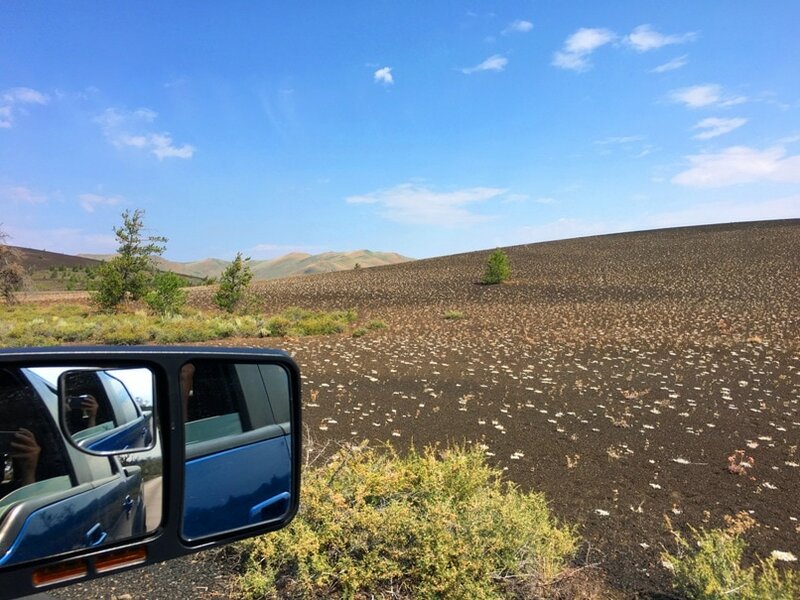 We had full hookups – which is so very important in the heat of summer – plus a short drive to Craters of the Moon along a scenic byway (25 minutes or so). The KOA had some limited tree shade. We were lucky and got a site that blocked the mid-afternoon sun beating into our trailer. The Arco KOA also had a lot of amenities. The pool was extremely popular and much needed during the summer. An evening ice cream social offered up crazy amounts of great ice cream and fun toppings for super cheap prices. And there was a café in the well-stocked general store for ordering food. They even delivered to the food to your campsites. Sunscreen Bring SO much sunscreen. Don’t skimp. Hat I had a large, floppy hat which was amazing for keeping the hot sun off of my face and shoulders. 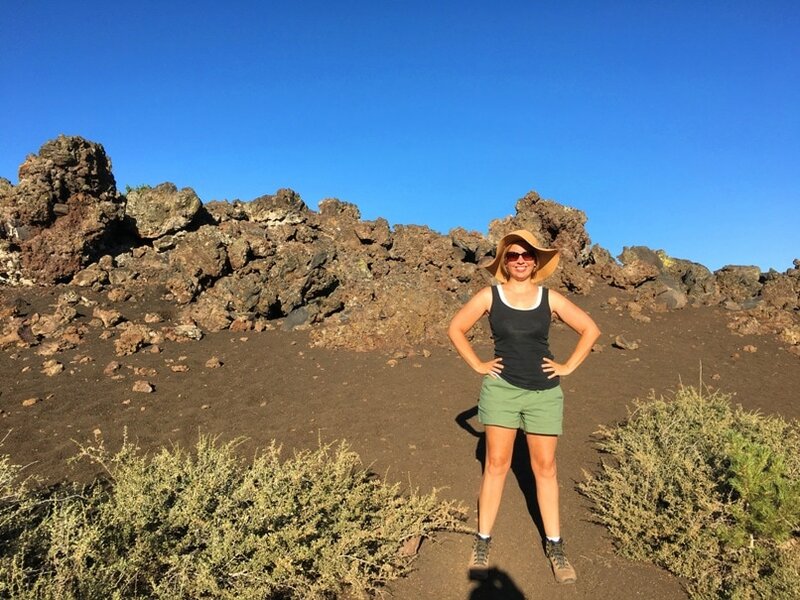 However, with the winds at Craters of the Moon, it was really hard to keep it on my head. (We saw baseball hats at the bottom of caves, too. Not sure if they were thrown or flew off.) I’d suggest a hat with a drawstring. Water. And More Water. Pack plenty of water for every member of your family. We love to keep water chilled no matter what the weather is like with these awesome water bottles. Sturdy Shoes Rough, rocky terrain makes flip flops a bad choice for hiking. 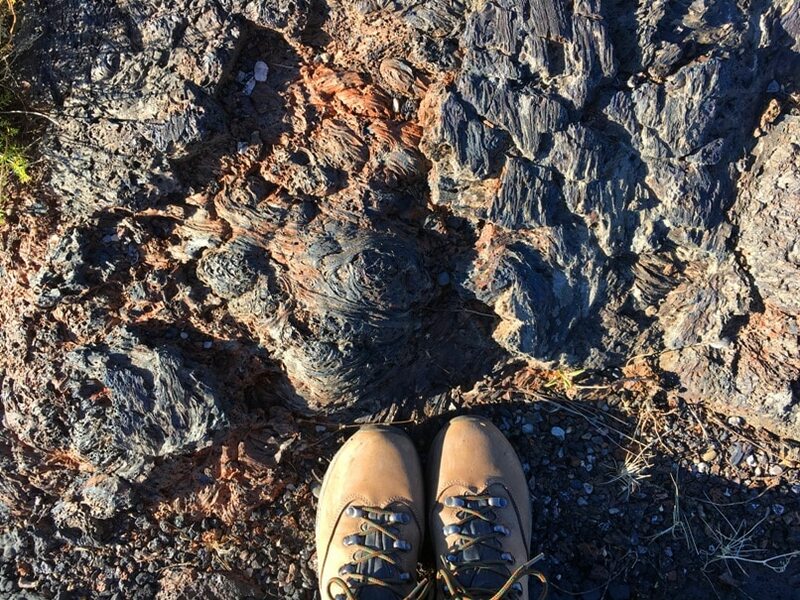 The heat coming off of the volcanic rock can be intense on your feet, too. Wear sturdy shoes with decent soles to prevent injuries. Food There are absolutely no concessions in the park. If you get hungry, you’ll need to leave and drive to Arco about 30 minutes away. Cooler During the summer, your car is going to get HOT in the parking areas. Bring a cooler to prevent water bottles from becoming super hot (or just use this great insulated water bottle) and snacks from melting. Sun Shade Helps to protect the inside of your car from the reflected heat and sun of Craters of the Moon. Clothing Not Worn in Another Cave If you plan on hiking through caves, you’ll need to wear clothing not worn in other caves in order to get a cave permit. 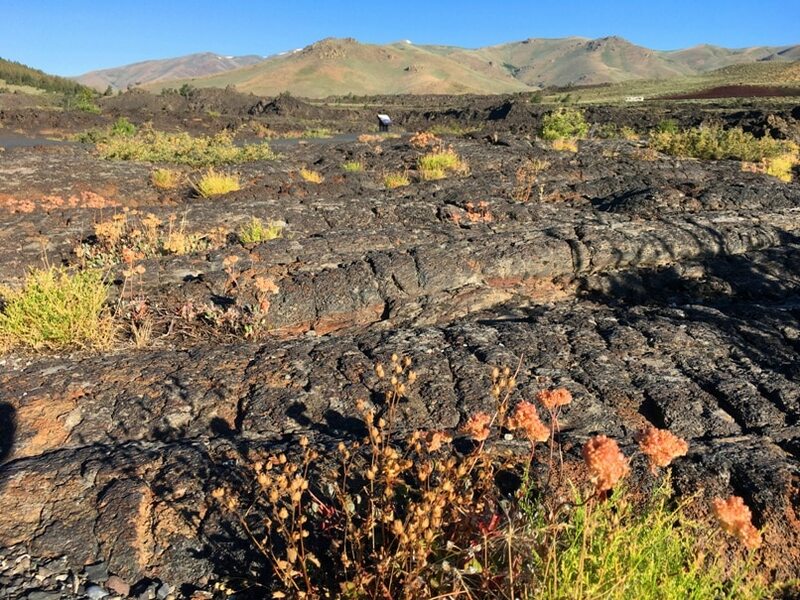 So now that you have seen pictures of Craters of the Moon National Monument, do you want to go? 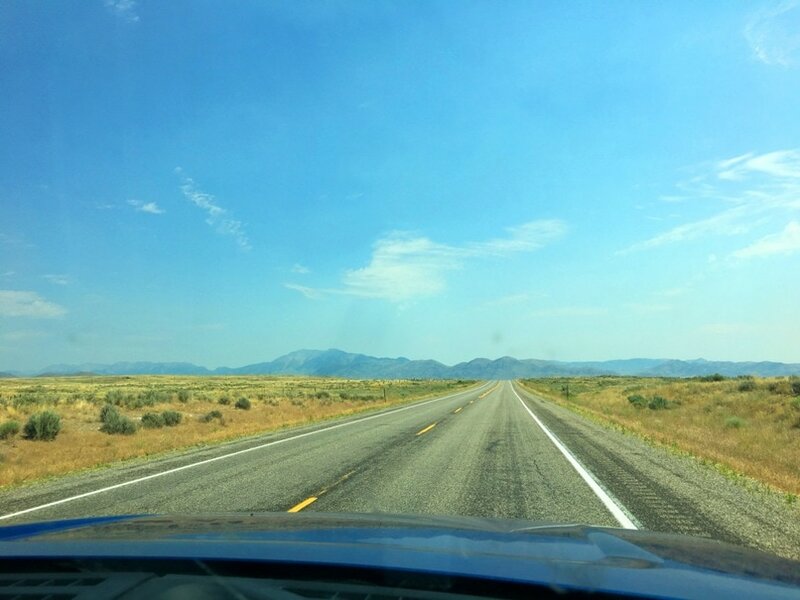 I really enjoyed & appreciate all the details and information you included in this post! 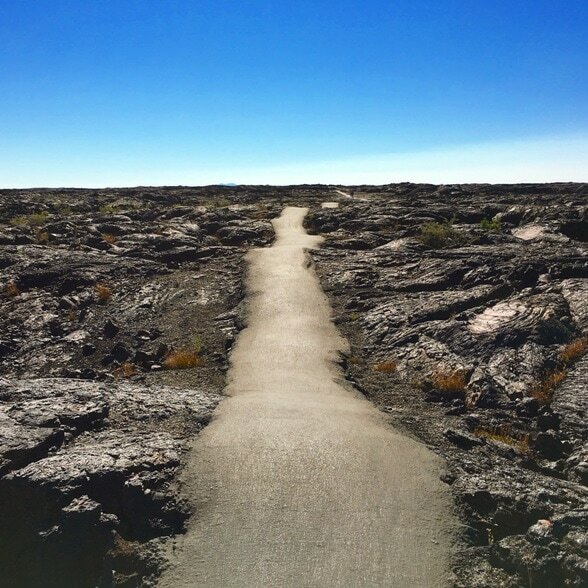 I hope to be able to visit Craters of the Moon in the future! 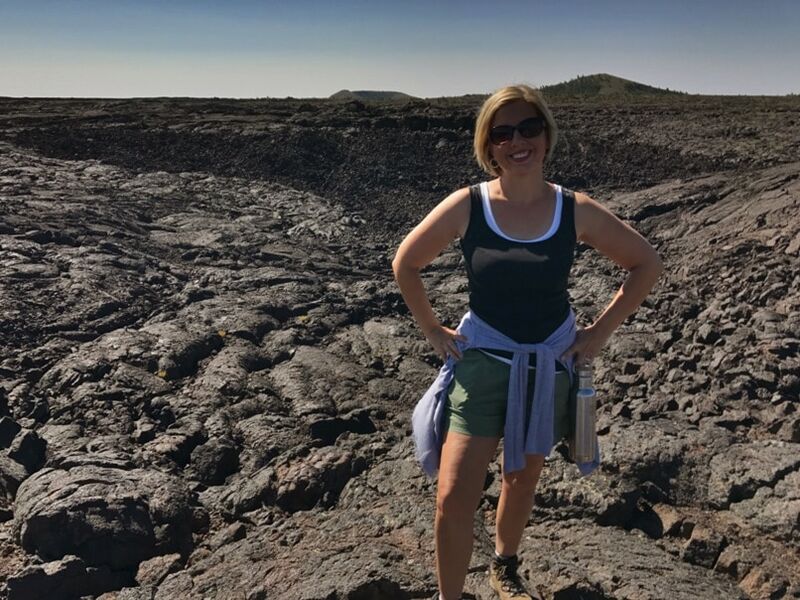 Melissa, thank you 🙂 Yes, we couldn’t find much information on visiting Craters of the Moon before we went. Hope you can get there and have an amazing time!